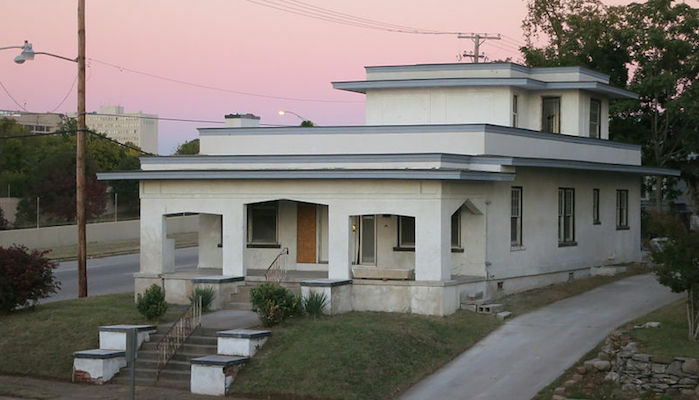 Midtown is another of the more walkable neighborhoods in Tulsa — a pretty residential area with tree lined sidewalks, hip cafes, and a good collection of the city’s Art Deco homes. Most streets here are fair game for running, but runners can incorporate the commercial strip of 15th street (Cherry Street), the pretty waterfront homes of Swan Lake, and the gorgeous gardens surrounding the Philbrook Museum into a great run. Be sure to check out Woodward Park! Notable streets include South Peoria, South Quaker Ave, parts of South Utica, and Swan Drive. The neighborhood is accessible from downtown — use S. Peoria to cross the highway, then one of the smaller streets. We’ve mapped a 3.6 mile sample run to help you get started, using S. Peoria Ave. & S. St. Louis Ave. as anchors. Add-Ons/Longer Run. The historic Riverview neighborhood is just to the west — use 15th St. Also, the Midland Valley Trail connects the midtown and Riverview neighborhoods with the river trails, running through Maple Park, also easily accessed via 15th St.